We have developed two types of new paddle-style dipstick dye immunoassays. The first is genus Listeria specific and the second is specific to Listeria monocytogenes. They are based respectively, on antisera raised against heat-killed L. monocytogenes cells and against internalin B crude extract, a virulence protein found only in the pathogenic L. monocytogenes. The minimum detectable level for L. monocytogenes is 2×107 CFU ml−1 for strain number 88/049 in pure culture. Detection is unaffected by the presence of high numbers (approximately log 8.0 CFU/ml) of the other microorganisms tested. When the dipsticks were applied to milk samples inoculated with L. monocytogenes reference material (ALM92), there was a strong response to the enrichment cultures. 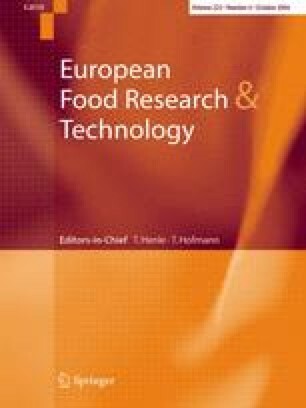 The new assay may prove useful in detection of L. monocytogenes in enrichment cultures of milk and ice cream food samples. This work was supported by the Czech Grant Agency, No. 525/03/0350 and by Ministry of Education, Grant No. MSM 6046137305.